Looking to host a crowd-pleasing Easter brunch? 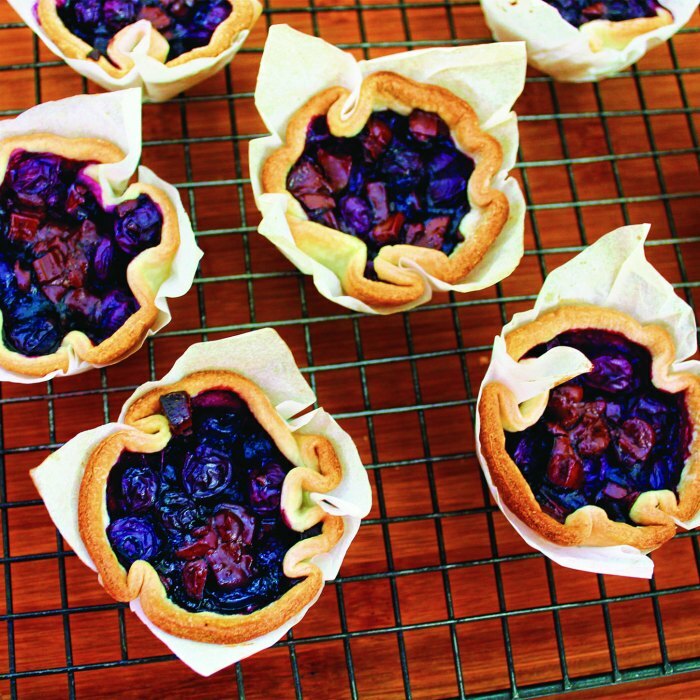 Finish the meal with a Mini Blueberry Tarts – a dessert perfect for Spring. Combining sweet and fruity notes, this treat will leave your guests craving more. 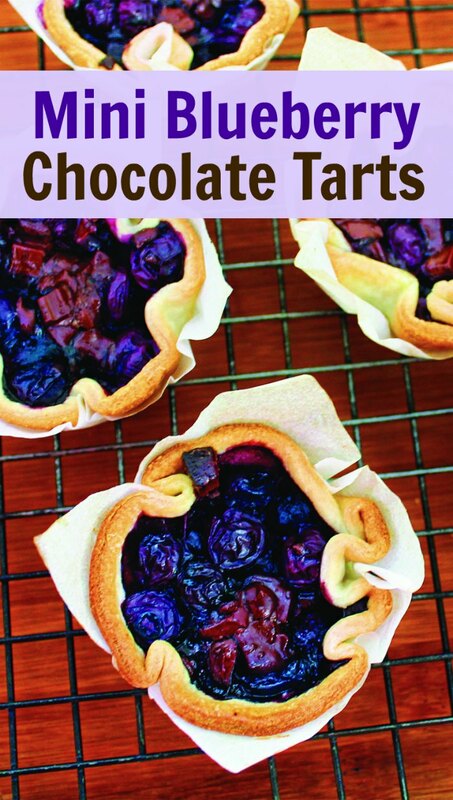 I love this tart, which has a surprising twist to the traditional mini blueberry tarts – it contains dark chocolate! Oh yes, the chocolate adds the perfect level of indulgence you’d want from a blueberry tart. And with just 4 ingredients, you can make it look like you worked ridiculously hard in the kitchen to create this confection. This recipe is courtesy of Chef Michelle, ALDI Test Kitchen. Find additional recipes at ALDI.us. Step 1: Heat oven to 400 F.
Step 2: Cut 1-2 sheets of parchment paper into 5-by-5-inch squares. Line each cup of 12-cup muffin pan with one square of parchment paper. Step 3: Roll out pie crust and cut 12 circles, 2 inches each, with cookie cutter. Press each circle into lined muffin cup. Step 4: In medium bowl, combine sweetener, blueberries and chocolate. Divide mixture among pie crusts. Strep 5: Bake 17 minutes until chocolate melts. 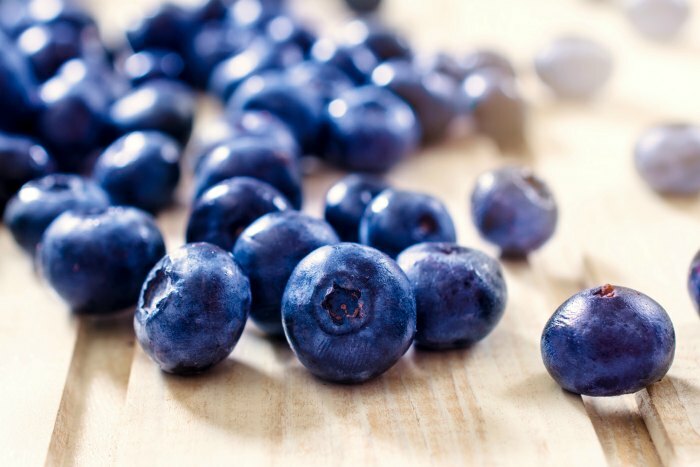 Mini Blueberry Tarts - a dessert perfect for Spring - Combines sweet and fruity notes, leaving your guests craving more. Cut 1-2 sheets of parchment paper into 5-by-5-inch squares. Line each cup of 12-cup muffin pan with one square of parchment paper. Bake 17 minutes until chocolate melts.